More than a million chainsaws from Harbor Freight Tools are being recalled because the power switch can malfunction causing a serious injury hazard. According to the Consumer Product Safety Commission , even after the power switch is moved to the "off" position the chainsaws can continue to operate. Harbor Freight Tools has received 15 reports of chainsaws continuing to operate after being turned, resulting in three laceration injuries — including one serious injury to the arm requiring stitches. 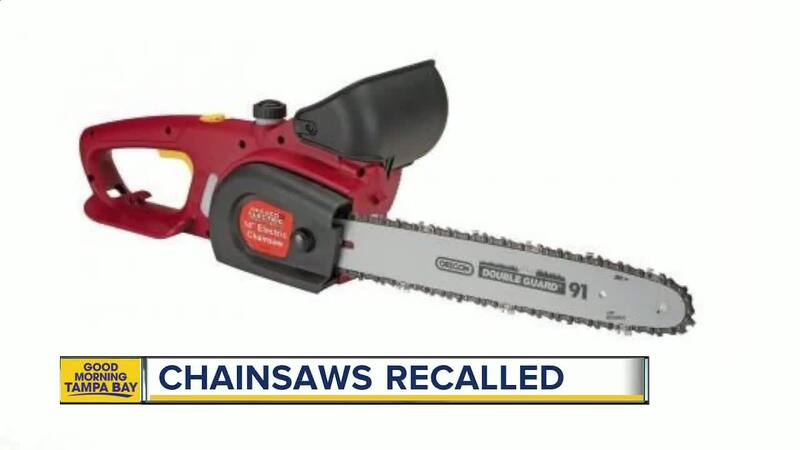 All recalled chainsaws were sold with a black blade guard at Harbor Freight Tools stores nationwide and online at www.harborfreight.com from May 2009 through February 2018 for about $50. 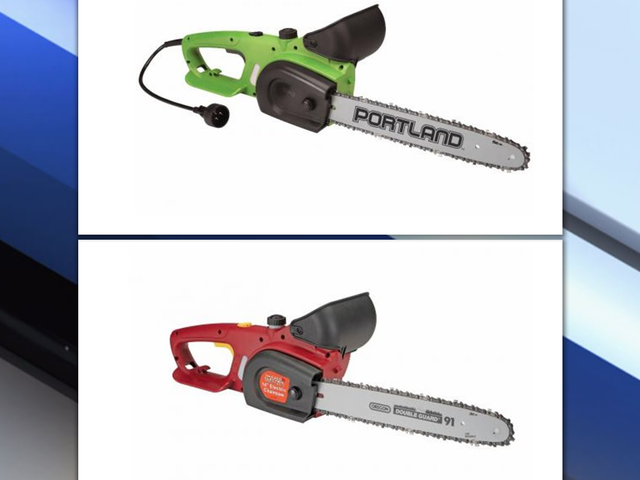 Consumers are urged to immediately stop using the recalled chainsaws and return them to their local Harbor Freight Tools store for a free replacement chainsaw. Replacement units will be available starting May 21, 2018. For more information, contact Harbor Freight Tools at 800-444-3353 Monday through Friday from 8 a.m. to 4:30 p.m., email at recall@harborfreight.com or visit www.harborfreight.com .